Mary was visited by the angel Gabriel. He told her that she was going to have a son who would be the savior of the world. He started by telling her in verse 30, not to be afraid because she has found grace (free, spontaneous, absolute favour and loving-kindness (according to the AMP)) with God. Then he told her that she would become pregnant and will give birth to a son. It is important we note that he first said to her “fear not…” before he delivered his message to her. I believe what he was really saying to her was ‘receive the love of God!’ The bible says in 1 John 4: 18 that perfect love casts out all fear. Fear hinders us from experiencing the love of God. Fear stops us from dreaming. Fear stops us from seeing possibilities. Fear stops us from getting pregnant. And when we get pregnant, fear stops us from giving birth to our dreams. The angel gave Mary a purpose. He gave her something to begin to dream about, but before he could plant the seed, the ground had to be prepared and ready to accept the seed. Mary wondered how she could become pregnant when… well, you know women don’t just get pregnant without nothing happening with a man. Mary had never had the intimate relationship with a man that produces a baby. She was engaged to be married to Joseph at the time. Notice what the angel told her when she expressed her thoughts of the coming to pass of this wonderful information. The angel told her in verse 34 that the Holy Spirit will come upon her and the power of God will overshadow her and bring it to pass. And she believed. Then, the angel told her of Elizabeth’s pregnancy. Elizabeth was in her old age and she had been barren. He added in verse 37 that with God nothing shall be impossible of fulfillment and no word from God shall be without power. Why did he tell her of Elizabeth, someone that she knew? I believe it was to confirm to her the possibilities with believing a Word from God and the power of God. With OWF community, the Lord is using a Sister to confirm to another Sister (through the great and beautiful victories He shall give her), the possibilities with believing a Word from God and His power to make any seemingly impossible thing possible. He said to me that through OWF, He is raising women who will birth the seemingly impossible as they believe the words He speaks to them. So, what Word has the Lord said to you? That Word, whether you found it in the bible, it came to you by revelation, it came by the Word of knowledge or from a thought. Just like Elizabeth who was barren, you may be thinking that it would never come to pass (it is dead) because it was given to you a very long time ago. God is saying to you today “Blessed are you who has believed, for there would surely be a fulfillment of the things that I spoke to you… for with Me, nothing is ever impossible and no Word from Me shall be without power or impossible of fulfillment.” Just as He did not need a physical man to get Mary pregnant, He only needs for you to BELIEVE! The Holy Spirit will come upon you and the power of His presence will overshadow you and birth your testimonies! Dear Sister, “fear not!” because the Lord is present with you, and He will watch over His Word to perform it in your life, just as He did for Mary and Elizabeth. So, be a part of our community, let us inspire and empower each other to believe God and see His Word come to pass in our lives. At the start of the journey of the discovery of my purpose, I fell in love with a song by Diana Ross that opens with “Do you know where you are going to.” It is so inspiring to me. As I continue on my journey I sing the song to myself from time to time. It forces me to examine where I am at that moment and measure it against my purpose, so I can make the right changes if required. I sing just the chorus though, which is actually all I need, plus I made a slight change to it. It goes like this: “Do you know where you’re going to, do you like the things that life is showing you, where are you going to, do you know? Do you get what you’re hoping for, when you look around you there are no open doors, what are you hoping for, do you know?” I may not exactly know Diana Ross’ thoughts behind the meaning of the song, but I’ll explain what these words mean to me. Think about what you are doing. Think about where you are in your life. Are you satisfied? Are you confident of where your life is taking you? Does everything seem alright in your life to onlookers but in your quiet moments you snuggle up in a corner, in frustration wishing your life could change by some miracle or wishing it would end? Do you cry out for help in your bedroom when no one else is watching? Where is your life headed, do you know? Are you happy with what you see ahead in your future? What about what you are hoping for, do you get it? Have you heard that hope keeps one alive? What you are hoping for is not what you say. What you are hoping for is what you believe, it’s what you think and eventually, it’s what controls your life, what manifests in your life. Do you say you are hoping for a great future but looking around you there’s no joy or peace, no open doors to lead you into that great future? By open doors I don’t just mean that you have the manifestation of what you are hoping for, it could just be that you have the peace, assurance, confidence that everything is working out just fine. It could be that even if physically, things are still not as you want them to be, in your heart you can see a bright light all around you or a glimpse of light that assures you that everything’s going to be just fine. This means you trust the Lord so much that you remain fulfilled no matter what. You are just so fulfilled and happy with your life because you know exactly where you are headed. Therefore, you can just as Paul did, boldly declare that you have learnt to be content in all things. Just take a while to look into what you are really hoping for. In other words, what do you really believe about your future? You may be very fearful of the future, very unsure of the future. You may just really believe that there is no hope for your future because you have made so many mistakes in the past or experienced a lot of disappointments, or someone told you you’ll never amount to anything good. Listen, you cannot separate what you believe from what you hope for. The direction of your believing determines the direction of your hope. If your believing is right, your hoping will be right and when you look around you there’ll be open doors. You may like what you say you’re hoping for but does what you believe align with what you say you’re hoping for? If you are not getting what you say you are hoping for (you are not seeing the open doors), then it’s time to examine what you really believe. If what you are hoping for does not align with what you believe, no matter how confidently you try to talk about what you are hoping for, there will always be this thought in your heart wishing that you actually believed what you’re saying or you will be fearfully praying in your heart for what you are saying to come to pass. So, what do you really believe? Dear Sister, ask yourself what you really believe concerning your life. Write down your belief. Are you doing that confidently? Are you even able to write down anything? Are there any negative thoughts? I have been there and out. I want to help you. Talk to me privately in the form below. Did you find this read inspiring? Let me know. Scroll way down to the bottom to leave a comment. Like it. Share it. As my children and I journeyed home after school, my 5 year old son wouldn’t stop the noise, and he also kept trying to get his seatbelt off and get out of his seat. I warned him that I would stop the car and get him off. He didn’t like the sound of that and was quiet for a tinily tiny bit. We got on a quiet road… there he was being very noisy and wouldn’t leave his baby brother alone. True to my words, I stopped the car, got to his door, got him out and I went back into the car. By this time, my son had this look of amazement on his face. It was like a dream. His face moved from “seriously! Mummy!” look to “don’t do this to me mummy” look. Immediately I got in the car, I asked his older sister to open her door and act like she was pleading with me to get him back in, while going ahead to get him in. As she pleaded (to his hearing), I kept acting like I wouldn’t hear of it and she needed to get back in the car so we could be on our way. Hearing me call his sister back in the car, my son began to cry. Now mummy is serious, she’s really going to leave me here. Some bystanders, understanding what was going on (because I would turn my face away to laugh) began to laugh. At that point I wished I could record the whole thing on video but I didn’t want my son to be out of the car for that long. Anyway, I let him come back in asking him to thank his sister who pleaded for him. It was just so funny hearing him say his sorry to me and thanking his sister. My tough son! He never suspected it was all a joke. He became really quiet… but not for very long. I had already played the get-you-out-of-the-car card so I just let him. Could you imagine the scene and laugh? Share your “Just for Laughs” story below. Can I ask you to do a quick exercise? I can? Great! Thank you! Look into a mirror and introduce yourself to you. Do you know that not everybody can do this? “Why not?” You’re probably asking. I’ll tell you! Not everybody can do this because some people do not like who they see when they look into a mirror. The mirror is an object that reflects light without diffusing it so that it will give back a clear image of anything placed in front of it. When some people look in a mirror, they avoid looking into their eyes because, it is when you look into your eyes that you see your true self. You see beyond the physical, you into your soul, into your spirit. If you do not like “YOU” you will not like what you see when you look into a mirror even if you are extremely gorgeous. What image do you see when you look into a mirror? People have different reasons why they don’t like themselves. For some people, it is because of a habit they have not been able to break away from. For some people, it is the way their body is shaped. For some, it is their size. For some, it is the thoughts that people just don’t like them. There are many different reasons for this. Whatever it is, the truth is that it is all in the mind. If you change your thinking about yourself, you will change your life. At some point in my life, I didn’t like who I saw in the mirror. I felt like God had blessed me with great dreams and I couldn’t bring them to pass. I was either procrastinating or trying too hard and nothing was happening. I had experienced some disappointments, especially in my business that I became afraid to try again. I became scared of myself. It was almost like I couldn’t trust myself and I began to feel that God couldn’t trust me. I got myself in debt, which was one of the hardest things for me to deal with. One day, I discovered that whatever it is we believe, we give that thing the power to control our lives. It was as though my heart popped open when I discovered that, and I could clearly see God’s love for me. I knew I had to work on what I believed concerning myself. It wasn’t a difficult task because I had the Word of God and the Holy Spirit to help me. I have had the opportunity to counsel a number of women and one thing I usually pick is that no matter what they say the challenge is, the nutshell is that there has been an attack on their minds, which has brought fear into their lives. They had tried in their own strength and in their way to change their lives but there was no change, they found themselves going round in circles. It would amaze you just how many women don’t think much of themselves. They may look like everything’s going on just fine but that’s not true. They weep in silence. As women how can we help to build a better world if we see ourselves as less than who we really are. If you are going to change the way your life is going, you must change your thoughts concerning yourself. If you’re going to change your thoughts concerning yourself, you must change what you believe about yourself. If you’re going to change what you believe about yourself, you must go after and receive the right information, the Word of God. As we see God in the Word, see who He is, we begin to see ourselves, who we really are. And all of us, as with unveiled face, [because we] continued to behold [in the Word of God] as in a mirror the glory of the Lord, are constantly being transfigured into His very own image in ever increasing splendor and from one degree of glory to another; [for this comes] from the Lord [Who is] the Spirit. 2 Corinthians 3:18. AMP. Don’t change yourselves to be like the people of this world, but let God change you inside with a new way of thinking. Then you will be able to understand and accept what God wants for you. You will be able to know what is good and pleasing to him and what is perfect. Romans 12:2. ERV. If at this point in your life, you are unable to look at your image in the mirror without disliking what you see, it is time to change it with God’s word. You have work to do (growth and development of your world). So, let’s get bold, strong, confident and loving ourselves. Start by meditating on the verses of the bible above. Did you find this read inspiring? Let me know. Leave a comment. Like it. Share it. I entered into 2015 very excited because the Lord had told me that 2015 will be a year of Thanksgiving for me. Now, if it is going to be a year of Thanksgiving, it means there will be victories to thank God for. Yayy!! Well… victories means there will be challenges to overcome. Uhh!! Why can’t we just have the victories without the challenges. Bright side! As a woman after God’s own heart, I know from James 1:2-4 to count it all joy when there is a challenge because it is a testing of my faith, and the testing of my faith makes me mature and complete so that I do not lack anything. (Consider it pure joy, my brothers and sisters, whenever you face trials of many kinds, because you know that the testing of your faith produces perseverance. Let perseverance finish its work so that you may be mature and complete, not lacking anything. James 1:2-4. NIV). The bible also says in 1 Thessalonians 5:18, that we should give thanks in all circumstances because it is the will of God for us in Christ Jesus. (Whatever happens, always be thankful. This is how God wants you to live. ERV). Always be thankful means be thankful for ALL things – whether they look good or bad. This reminds me of Romans 8:28. (And we know that God causes everything to work together for the good of those who love God and are called according to his purpose for them. Romans 8:28. NLT). I decided to consciously look out for opportunities to be thankful everyday of 2015 and it has been amazing!! Thankfulness produces victories and more victories! I had a need and was thankful I had the need, because it meant the supply was around the corner and true to my thankfulness (if there’s a phrase like that), the supply came! I even feel and look younger! A thankful heart is a merry heart, and a merry heart does good like medicine. (A merry heart doeth good like a medicine: but a broken spirit drieth the bones. Proverbs 17:22. KJV). So, can I challenge you, dear Sister, to be thankful everyday of 2015 no matter what? Will you join #ThankfulMe and be #ThankfulThru2015? Yes? Great! Leave a comment telling what you are thankful for right now. If you are pressed for time and are unable to type what you’re thankful for, just use the hashtag #ThankfulMe. Hey Ladies! I am so excited to be writing this blog. I have a lot to say! I came to a conclusion sometime in 2013 that my purpose in life is to live a life of fulfillment. Well then, that probably sounds selfish… but wait till I tell you what I mean. Fulfillment to me is living out one’s purpose for existence in this life, and my purpose for existence is to inspire and empower others to live fulfilled lives. The fulfilled life is a full, rich and satisfying life that overflows to others. In the book of John 10:10, Jesus said that He came so that we might have not just life but a more abundant life; the Amplified bible calls it a full, rich and satisfying life till it overflows. The Word of God is life! I love to teach it and so, I study it very deeply. I really do enjoy studying the Word. It has changed my life – still changing! God’s Word is complete with everything we need in this life, we only need to know it. I am so grateful to the Lord for giving me this great privilege to teach His Word to others that they may live the life He purchased for them and called them to live. The Word of God is light and this light is our life (In Him was life, and the Life was the Light of men. John 1:4. Amplified). If the light is our life, then our life is light. Therefore, we will have a fuller, richer and more satisfying life as more and more light comes into us by the Word (the entrance and unfolding of Your words give light; their unfolding gives understanding (discernment and comprehension) to the simple. Psalms 119:130. Amplified) because we will clearly discover and walk in the blessings that have been given to us by grace, as well as make the impact God has predestined for us to make. As we discover these blessings here, the power of God working in us will help us develop the faith, trust, strength and character we need to walk in them (take advantage of them) and truly enjoy life. Are we ready to get discovering and get developing and get enjoying? Alright! Let’s get seeking after the Kingdom of God and allow all other things add to us naturally (actually supernaturally). And I mean ALL things: peace, joy, happiness, wealth, answered prayers, fulfillment… including those shoes you’ve always wanted. Yayy! 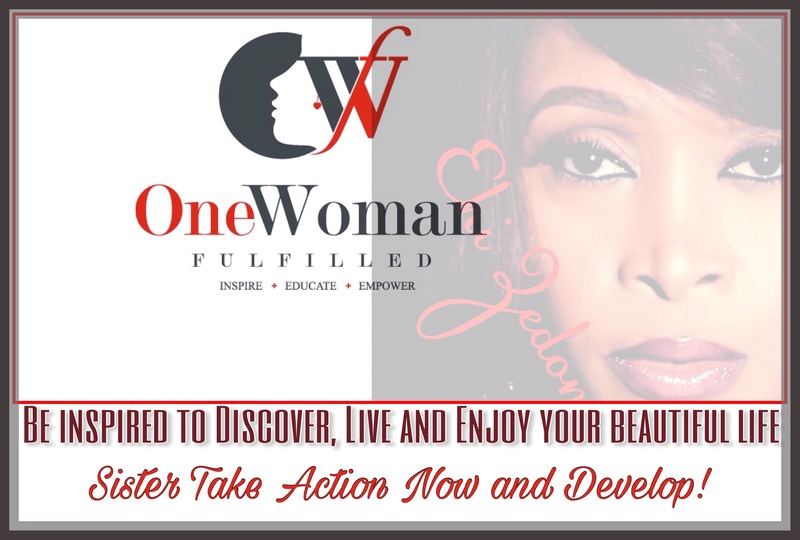 I have a lot planned for onewomanfulfilled (OWF). We will be learning the bible so we can live on purpose. We will be addressing issues women face that hinder them from flourishing as they should. We will be dressing the woman up, keeping her looking fresh and beautiful through our tips and discussions on fashion, beauty, style, fitness and healthy eating. We will be helping her fulfill her role as wife and mother with our articles and discusions on the family. We will be helping her create and run successful businesses as well as equip her with strategies to thrive at her job. My! 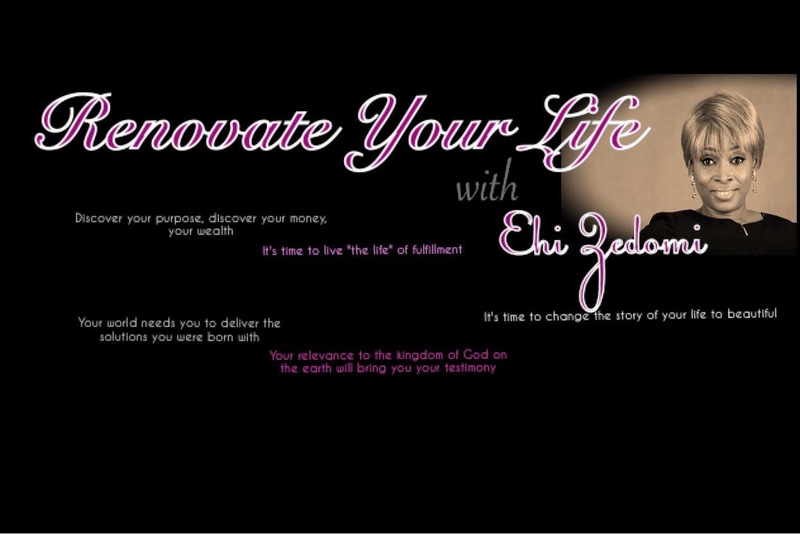 I am geared up and ready to inspire and empower women live fulfilled lives.